A client has recently been sacked, wrongly accused of sexual harassment. There were some negative media stories, enough for it to spread through his profession. He didn’t fight it, as his large former employer has deep pockets; his, much less so. It has been an incredibly stressful period for him, and he thinks his reputation permanently destroyed. I’ve disagreed and referred him to the high profile trashing of two politicians’ reputations, Barnaby Joyce and Emma Husar, with the advice to ‘watch what happens’. 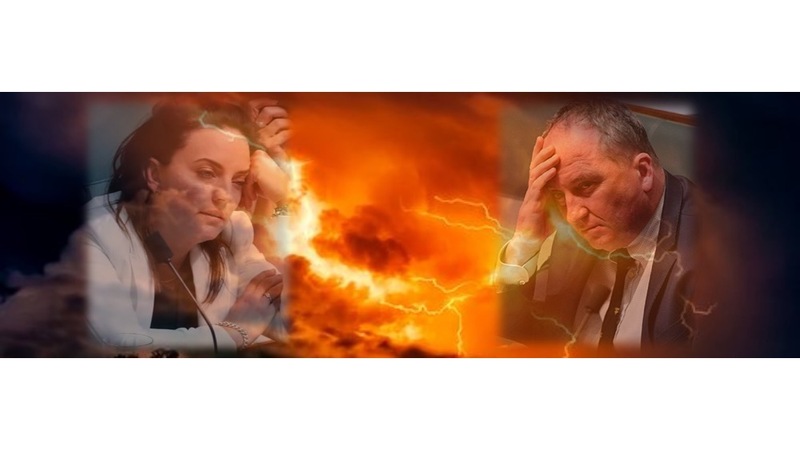 When Barnaby Joyce was at his lowest, he lost his posts as Deputy Prime Minister and leader of the National Party. My prediction at the time, very much a minority opinion, was that he could make a comeback. I’m saying the same of Emma Husar. We Australians are forgiving of others mistakes, subject to conditions. is aware that he had created enemies who wanted him out of the company. A new story: what and how they communicate. It’s going to involve a ‘page-turn’. These are supporters. Some will also help you with self-reflection and make you stronger. They will help you review and reset your values and behaviours. It’s hard to do this without support as it’s a truism that we can all spot weaknesses in others, but have difficultly identifying our own. These are the people who will reward you with respect and a return from the sin-bin. It’s one thing to change; it’s another to be seen to change. This is where the new story becomes critical – what and how we communicate. Over 15+ years of doing and watching this, we have witnessed this many times. The ‘improved you’ has to be genuine and for many reasons an apology alone doesn’t cut it. Barnaby Joyce’s book may be a move in that direction. There are committed opponents who will never change; there are opponents who can become supporters; and the bulk of people who simply aren’t that interested. We need to convert some and ignore or render the remaining critics impotent, as much as possible. It takes strength to ignore intransigents. Being able to achieve this is an additional skill. 1. Hide! Do nothing to defend yourself; the easiest option as you are typically at your lowest ebb and lacking your normal confidence. 2. Get on with life. Networking with key people. 3. Depending on your profile, build a good quality website with your new story, carefully crafted; plus SEO to push your side of your story to the first page of Google, to challenge the existing negative media. Barnaby Joyce has written, with associated publicity. 5. An option may be to undertake limited social media, but in a way that minimises trolling. which can encourage a negotiated settlement. My advice always, and each situation is different, is to design a strategy to which we become committed, as flip-flopping on strategy and tactics can undermine what we do and blow-out the timeline for recovery, as well as costs. Next PostCrisis PR: When can you trust a journalist? Seven questions to ask.